Top Button - Registration is required, but free, on this site which strives to offer comprehensive sample sales listings. The Budget Fashionista - This blog is regularly updated with discount clothing options, and they maintain a List of Sales in New York City. In addition, they have a lot of helpful advice on shopping -- including gift ideas, styling tips and ways to stretch your fashion budget. Time Out New York - Weekly sample sale listings are featured under "Shop Talk" in their "Check Out" section available for free around New York City (or you can pay if you want a subscription!) or you can access their Shopping Section online including their Sample Sales & Shopping Events listing. On The Fly - You can also find sample sales by looking for flyers and sidewalk billboard in the Garment District (34th - 40th Streets, between 5th and 9th Avenue). Lazar Shopping - After years of keeping their sample sale listings behind a paid subscription, Lazar Shopping now offers comprehensive sales listings right on their website. All the essential details, including which sales are new during a current week are available on their website and you can browse or look for particular categories/designers that you're interested in. Favorite Designers - If you find your favorite designers' websites, you can often sign up for their mailing list to be informed about sales. Shop Gotham Walking Tour - If you'd like some hand-holding through the sample sale shopping experience, check out Shop Gotham's Garment District Shopping Tour. They can tailor the tour to your interests and budget. 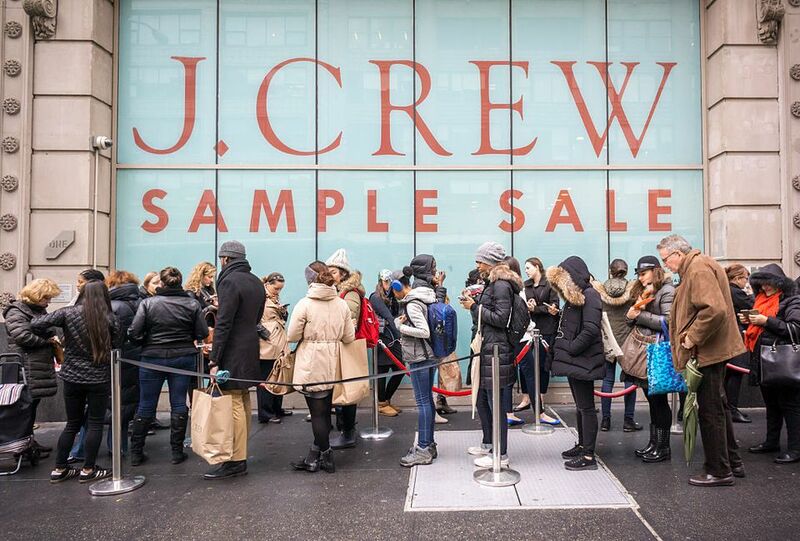 These permanent locations host sample sales for a variety of designers year-round. It's convenient to have a location you know will be always having a sample sale, but it can also feel more like a traditional store experience rather than a special "only in NY" type of shopping moment. ClothingLine - Located on West 36th Street, ClothingLine features an ever-changing array of merchandise (including cashmere) and is worth a stop if you're in the neighborhood. 260 Sample Sale - With four different locations, there are a lot of options on any given day at the 260 sample sale locations. They effectively run sample sales for designers/retailers, which means that you don't have to be "in the know" to find their sales, but it also means there's more competition for the gems they have. They post their schedule on their website, but you can also check them out on Facebook for the latest sales.